Save the date! 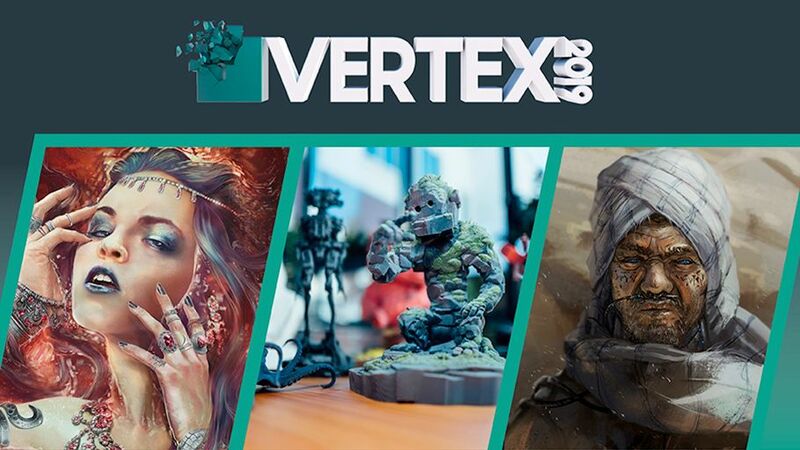 From the makers of 3D Artist, 3D World and ImagineFX comes the ultimate event for 2D and 3D artists – Vertex – for one day only on Friday 8 March at Olympia, London. Just like how a vertex connects everything, our event will bring these sister magazines and the CG community together for practical inspiration and a fantastic networking opportunity. This special event assembles experts from every industry and discipline in CG, from games and VFX through to VR, covering character concepts, real-time creation and more. You’ll be able to boost your skills with leading industry artists and learn from the world’s best creative studios, no matter which area you specialise in. Among Vertex 2019’s already impressive lineup is ILM visual effects supervisor Alex Wuttke, who will be sharing rare insights into the design of Jurassic World: Fallen Kingdom. Joining him on the main stage will be Framestore’s Andy Kind, who will take audiences through some of the almost 500 visual effects shots the studio created for J.K.Rowling’s Fantastic Beasts: The Crimes of Grindelwald. On top of that, you’ll get hands-on advice and tips, hear about the newest developments at engaging masterclasses and workshops, get feedback at portfolio review sessions and mingle with some of the brightest minds in the creative industry. There’s even a recruitment fair for aspiring and professional artists and an expo area to showcase the latest in technology and software. What’s more, there will be an ‘Ask an Artist’ area to help you troubleshoot your technique woes one-on-one with pro artists, and don’t forget to leave your mark on the new dedicated doodle walls. And the best part? You can join us at Vertex for free! To find out more and register for free admission, head over to the Vertex website.